Hey ladies, I’m wondering — Who is on your tour? I’m sitting on a train heading back out to the ‘burbs from downtown Chicago where I just saw an amazing concert – Four Voices. 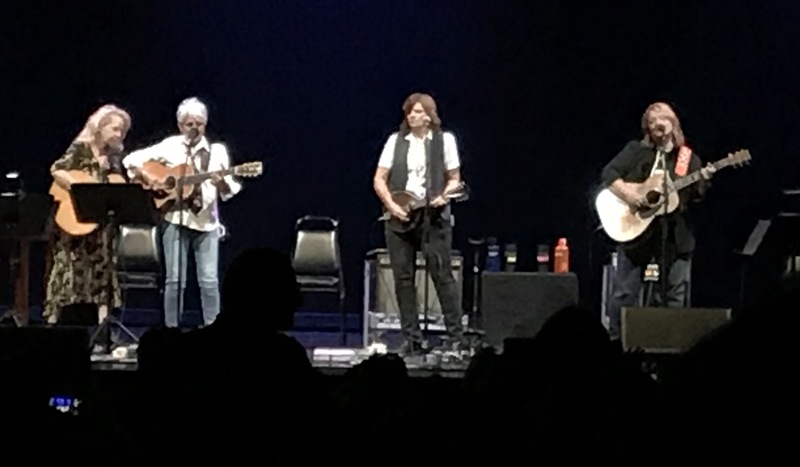 Joan Baez, Mary Chapin Carpenter, and the Indigo Girls, Emily Saliers and Amy Ray, have joined artistic forces for this 11 city tour. As soon as I saw it advertised I knew I couldn’t miss it for anything. The women did not disappoint. Early in the show they noted that among the four of them they represented more than 170 years of music-making. They first met 25 years ago when Baez invited the Indigo Girls to participate in a fundraiser concert. Saliers and Ray agreed to participate and brought Carpenter into the event, too. Their friendship was born and has included mutual support and admiration ever since. 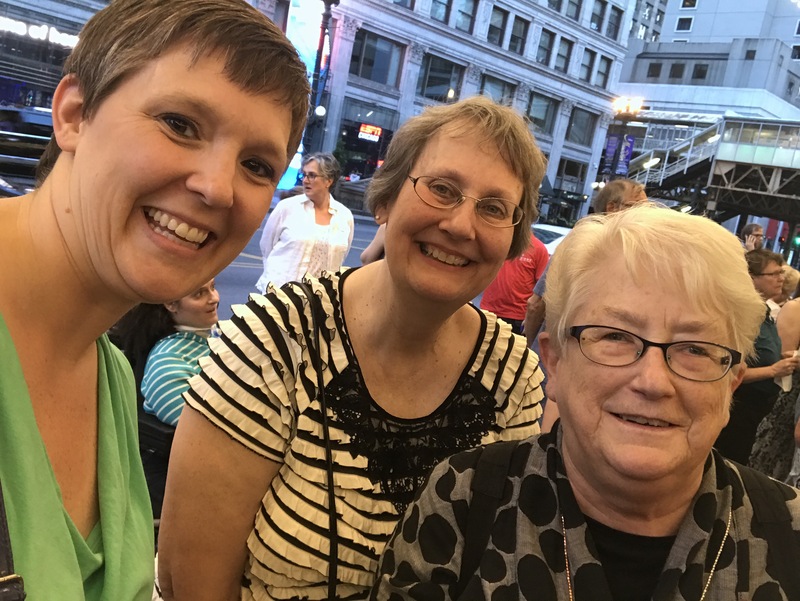 As much as I loved the music, and I loved the music, I think I loved this witness even more – women supporting women across generations as they move through their careers and callings. Women across generations supporting each other, learning each other’s songs, singing together sometimes and at other times letting each one shine on her own. Which brings me to my question, a question that doesn’t have to be exclusively for women, but one that I think is particularly important for women in a culture that still leans heavily toward patriarchy — Who is on your tour? Who are the people on stage with you – sometimes singing along with one of your songs, sometimes sitting behind you in the dark, sometimes letting you add your voice to their art? Who is in your multi-generational support team? Who reached out a hand to help lead you along and to whom have you offered a hand as well? One of the women on my tour, the Rev. Carol McDonald, was with me tonight, and I couldn’t have been happier than I was sharing the evening with her. She invited me on her tour a while back and has been a friend and mentor ever since. She prayed me through difficult times and pointed me in new directions when the time was right and I didn’t even know it. She has introduced me to women of all ages who are smart and faithful and hard-working, many of whom I consider part of the tour, too. Best of all, I know she isn’t just doing this for me. There are so many of us who have been blessed to join this particular tour. Do you have people you’re on tour with? Do you a group of friends and colleagues who help you navigate your career and calling? Pastors and preachers, musicians and artists, doctors and teachers, mothers and executives — we all can benefit from supportive colleagues and friends as we go about our work of changing the world. drinker, but occasionally I’ll have a coffee drink of some sort. Some days, like today, I just get some lemonade or water. I rarely make it through my visit without a cookie or something from the pastry counter. But that’s all beside the point.